Part 1 of our 4-part series on supply chain and logistics as a career path defines this growing industry and provides a general outlook of what it means to prospective job-seekers. Ready for a successful career in supply chain and logistics? 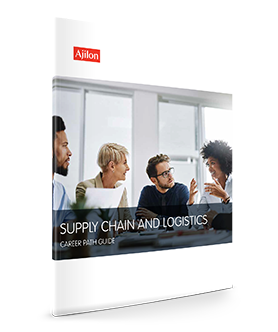 Read our Supply Chain and Logistics Career Path Guide to get started. So, you've decided to explore a career in the supply chain and logistics industry – that's great news! And we’re here to prepare you for long-term success! Maybe you read about something called “supply chain” in your college course catalogue, or perhaps you know someone who is already working in the field. You could have just stumbled on the opportunity while researching online, or maybe you've always known you wanted to work in supply chain and logistics. It doesn't matter what path got you here; what does matter is that you're exploring a career opportunity that's growing by leaps and bounds. Part I: What is Supply Chain and Logistics? Almost 10% of U.S. gross domestic product (GDP), or $1.3 trillion dollars, is spent on supply chain management every year. Learn more about this booming industry. Now is the perfect time for college students, job seekers, and career-changers to explore their options in the growing fields of supply chain and logistics. Find out how you can get started. Match your skills and interests to the best supply chain or logistics job. Take your supply chain career to the next level. With resources and support from an expert supply chain recruiter, you’ll receive the edge you need to get noticed in today’s cluttered job market. In this career guide, you'll learn exactly what supply chain and logistics professionals do, what job titles they hold, and what industries they work in. You'll learn how to break into the field and start your career, and hear how working with a recruiter can help accelerate the job search process. Our ultimate goal is to help you learn something new, build confidence, and find a fulfilling career that fits your skills and future aspirations. As the world's supply chains have evolved, so too has the role of the supply chain professional. Where in the past a new job candidate may have been a warehouse manager, transportation manager, or logistics manager, the job titles have since expanded. Working in nearly every industry, logisticians now analyze and coordinate an organization's supply chain—the system that moves a product from supplier to consumer. Complete the form to download guide.